Levi's Men And Women Jeans Now 50% Off @ Snap Deal..
Jockey,T&H And Many More Inner Wear 25% OFF@ Snap .. Extra 25% Discount On Bags @ Snapdeal..
Additional 20% off on All furniture at Snap Deal..
Rs. 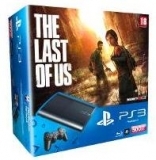 500 OFF on Gaming Consoles above Rs. 14999 @ S..
Get Additional 15% Off On Men Footwear @Snapdeal..
Get Rs.250 Discount Coupon On Minimum Purchase Of ..
Microsoft wireless mobile mouse 3500 at just Rs. 8..
Get 20 % Off Extra On Musical Instruments At Snapd..
Get 25% Off On Mens Footwear At Snapdeal Hurry Up..
Upto 50% + Extra 50% off on branded apparels at Sn..
25% OFF on Wireless Routers at Snapdeal.. Extra Rs.1000 off on ALL DSLRs At Snapdeal..
Buy 1 & Get 1 + Flat 50% + Extra 20% off on Home C..
Flat 50% + Extra 30% Off On Saree @ Snapdeal.. Extra 10% off on MapmyIndia - Vx140s - 4.3 inch To..
Additional 10% off on Speakers @ Snapdeal..
Buy Erato Short Cotton Kurtas for just Rs. 225.0 @..
Dell Laptop Backpack 15.6 Inch for Rs. 375.0 @ Sna..
Additional 25% off on Affair Lycra Pleated Nighty ..
Shop for Rs.999 & get 25% off @ Snapdeal..
Additional 25% OFF on Eyewear @ Snapdeal..
Flat 23% Off on MapmyIndia - Vx140s - 4.3 inch Tou..
Flat 25% off on Nikon Coolpix L28 @ Snapdeal..
Puma Polo T shirts for Just Rs. 360 @ SnapDeal..
21% Plus Extra 5% off on Panasonic Grooming Kit - ..
55% off on Aquafit AQ15 Home Gym @ Snapdeal..
50% off on Polo Induction Cookware Set @ SnapDeal..
Domyos Sportee Fitness Tees at Just Rs.148 @ Snapd..
35% off on Haier LE39T2000F 39 Inches Full HD LED ..
Flat 29% off on AOC 40 Inches Full HD LED TV @ Sna..
15% off on FIFA 14 Xbox 360 for @ Snapdeal..
Buy 1 Get 1 Free Offer on Womens Sandals @ Snapdea..
Home Sparkle 16 Inches Roman Chess Set at 60% off .. 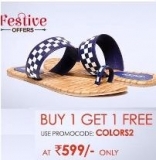 Extra 10% off on all transactions through HDFC Cre..
37% off on Nikon Coolpix L27 16MP Point & Shoot Di..
Buy 1 Get 1 on Women Slip on & Sandal @ Snapdeal..
Alvaro Multicolour Mufflers Combo with Additional ..
Flat 60% + Extra 20 % Off on Single&Double Bed Qui.. Extra 20% off on Winter wear Sweaters,Jackets,Swe..